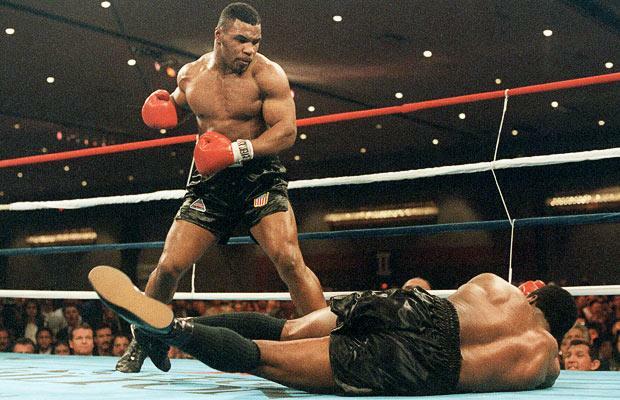 I’ve been knocked down more times than Glass Joe in the boxing game Mike Tyson Punch Out. Every time God would get me back to my feet before that final bell rung. He provided me with support and love that I needed. Unfortunately, I would go right back in the ring with my guard down trying to do things my own way again. About 4 years ago I was delivered a hard blow that made me realize doing it on my own wasn’t working anymore and I’m losing the people closest to me in my corner. I cried out to God and he picked me up one more time and placed me in a church, small group, and in a relationship with Him that I gratefully accepted and really didn’t deserve. Today’s reading in Mark & Romans reminds me of the listening we must do when in a relationship with God. One thing I have grown to truly enjoy is being in the Word daily. Everyday when I get to dig into the scripture I pick up something new that I hadn’t thought of before. Reading these journal entries has been inspiring and another daily reflection on His Word I love waking up to. If your not in the Word daily following along with these daily readings is a great way to start. So what does the Word and Boxing have in common? In Mark 13 we are told to “Be on your guard” 6 times in 36 versus. In myself I find that without being in the Word its like walking into the ring with your arms behind your back. The dance can only last so long. God’s truth through the Word provides our way to “be on guard” while living in your present life. Nobody would go into a title fight without training. Months of preparation is put into training and getting ready. Do we put the same preparation into the return of Jesus? Here are the 6 versus that are reminding us to “stay awake”. Mark 13:9 “But be on your guard. For they will deliver you over to councils, and you will be beaten in synagogues, and you will stand before governors and kings for my sake, to bear witness for them. – Our mission to be a dangerous witness for God. This can put you in hard situations. We are here to share the Word with others. Mark 16:15 “And he said to them, Go into all the world and preach the gospel to every creature.” Matthew 10:17-20 talks about this statement and to not be anxious about how you are to speak or what to say, because the Spirit of your Father will speak through you. v. 23 But be on guard; I have told you all things beforehand. – The Bible has all the resources to live your life for Him. God has sent a perfect example for us in Jesus. v. 33 Be on guard, keep awake. For you do not know when the time will come. – We don’t know when it he will return. Are you prepared? Romans 13:11 And do this, understanding the present time: The hour has already come for you to wake up from your slumber, because our salvation is nearer now than we first believed. v. 35 Therefore stay awake – for you do not know when the master of the house will come, – Follow God’s instructions, this preparation is for eternity. 1 Thessalonians 4:2 For you know what instructions we give you through the Lord Jesus. v. 36 lest he come suddenly and find you asleep. – Also in 1 Thessalonians 5:6 So then let us not sleep, as others do, but let us keep awake and be sober. v. 37 And what I say to you I say to all: Stay awake – This is for all, we need to be confident in sharing the Word with others.Being on guard is for the present. Jesus foretells how we will be led astray. Ephesians 6:11 Therefore put on the full armor of God, that you may be able to stand against the devils’s schemes. Through His Word we are provided a plan of how we should live. Romans 13 also reinforces the message to stay awake by reminding us to walk properly. Romans 13:8 Owe no one anything, except to love each other, for the one who loves another has fulfilled the law.